The Human Resource Analyst will ensure integrity and accuracy of HR data while being compliant with British Council data protection and security standards and provide accurate and relevant data analytics and reporting. Partner with business and functional teams and collaborate within the HR team to ensure efficient HR workflows. Coordinate and ensure standard, consistent, accurate fit for purpose HR administration. This is a 2 years fixed term contract tied to the full implementation of Human resources Information Systems (HRIS) and shared services. The Post holder will be responsible for conducting day-to-day HR operations effectively to provide proactive HR support across Country. The successful person will report to Cluster HR Business Partner and will contribute to the successful running of HR as well as providing vital support to all operational team members in the Southern Cluster. She/he will contribute to the on-going development of British Council. This post is instrumental in ensuring that all HR is well supported and presented, procedures and policies are adhered to and that operational teams are knowledgeable about, and compliant with, the HR embedded within their business as usual processes. Please refer to the role profile for more information on the role, its responsibilities/accountabilities and person specification. Valuing diversity is essential to the British Council’s work. We aim to abide by and promote equality legislation by following both the letter and the spirit of it to avoid unjustified discrimination, recognising discrimination as a barrier to equality of opportunity, inclusion and human rights. All staff worldwide are required to ensure their behavior is consistent with our policies. The British Council is committed to a policy of equal opportunity and is keen to reflect the diversity of UK society at every level within the organisation. We welcome applications from all sections of the community. In line with the British Council’s Child Protection policy, any appointment is contingent on thorough checks. 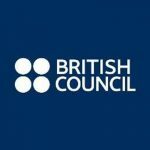 To apply please visit jobs.britishcouncil.org.